Solid oxide membrane (SOM) technology has been employed in developing several new metal reduction technologies. 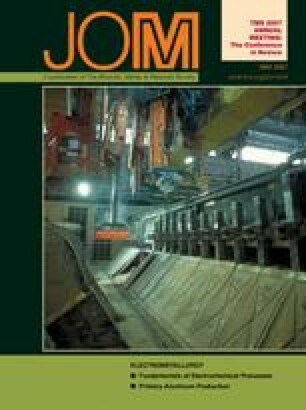 This overview describes the SOM process for copper deoxidation and SOM technology for metal smelting, as well as applications to magnesium, titanium, and tantalum. The examples illustrate various configurations of the SOM, anode, and cathode that are best suited to the needs of each metal.